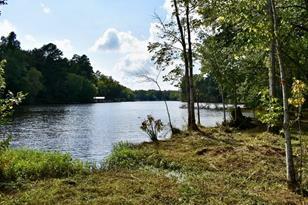 Beautiful lake lot, all that is missing is your perfect lake home. The lot is tucked away in a quiet gated and paved lake community. The community offers a nature area to take in all the scenic beauty, and a recreational area that is perfect for family gatherings, this is a great value on a beautiful lake. A verbally approved dock has been given by Georgia Power. A copy of the covenants is also included in the documents. Give me a call/text for the gate code if you would like to see this awesome property! Driving Directions: Highway 441 South to right onto Twin Bridges and travel to left onto Southshore and take right into Lakeside community. Travel to left on Blue Water Blvd. Listed by American Realty Professionals of Georgia, LLC. 122 Bluewater Boulevard, Eatonton, GA 31024 (MLS# 6512542) is a Single Family property with a lot size of 1.2200 acres. 122 Bluewater Boulevard is currently listed for $79,000 and was received on March 01, 2019. Want to learn more about 122 Bluewater Boulevard? Do you have questions about finding other Single Family real estate for sale in Eatonton? You can browse all Eatonton real estate or contact a Coldwell Banker agent to request more information.